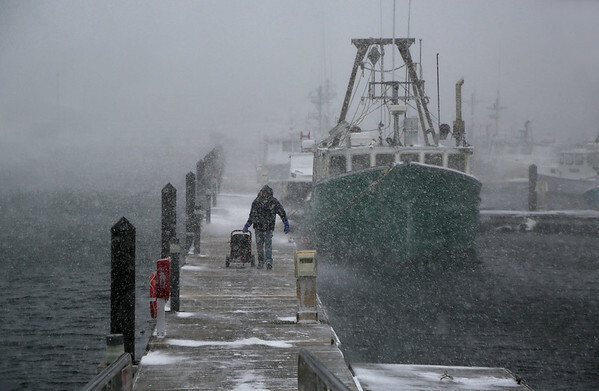 Peter Marshall of Essex pulls an electrical generator down the dock at the Jodrey State Fish Pier in Gloucester after checking on his scalloping boat, the Venture, during Thursday's snowstorm. "It's a little nerve-wracking when everything you own is tied to a dock during a storm," Marshall said. While checking on the boat, he decided to bring the generator home in case there was an electrical outage there.